Six more months. Here’s a paradox: we are all fed up to the back teeth of hearing about Brexit, and yet we cannot get enough of it. Brexit related twists-and-turns predictably dominate the airwaves, rightly or wrongly monopolising the attention of our politicians and political commentators. And it has been relentless. But like a wart or a cold sore, we just can’t leave Brexit alone. We keep thinking about it, going back to it, examining it. We hate it and yet we are drawn to it. There are many possible explanations for this peculiar collective behaviour. Some people simply take joy in seeing our British neighbours make a fool of themselves on a global stage. 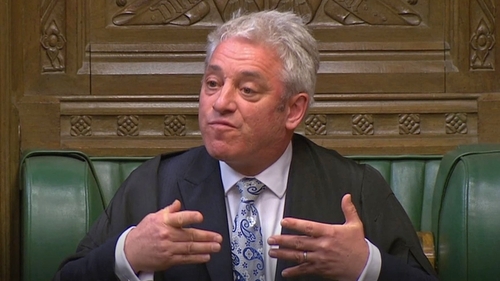 Brexit has metamorphosed into a daily political drama that successfully combines elements of Game of Thrones with Blackadder, plots and sub-plots full of cunning plans and vicious back stabbings. In the present times, Yesterday in Parliament on BBC Radio 4 makes for riveting, compulsive listening. Personally, I like to think that there is another explanation for this addiction to everything Brexit. What is being played out on a daily basis in Westminster is nothing less than the fundamental struggle for the true meaning of democracy. In the 1830s, Alexis de Tocqueville wrote the immensely influential two-volume treatise on Democracy in America, which shaped our thinking and understanding of democracy for the next 100 years. Whatever the final outcome of Brexit, someone will have to write a tome on Democracy in Britain, whatever is left of it. The hardest lesson about Brexit is that it has exposed the shocking level of ignorance about what democracy is and how it works, even after the luxury of almost 70 years of post-war electoral democracy. The most basic misunderstanding about democracy is encapsulated by the Brexiteers’ mantra that "the people have spoken", something that they repeat ad infinitum to anyone willing to listen to them, but especially to those who don’t want to listen to them. They insist that democracy now demands that the UK leaves the EU immediately, with or without a deal, and that democracy will be dead unless the outcome of the referendum is fully endorsed and institutionalised. There are many problems with this line of reasoning, but three stand out. Firstly, Brexiteers assume that "the people have spoken" in the referendum of June 2016, therefore the result of that referendum is final and sacrosanct. What Brexiteers conveniently forget is that 12 months after the referendum the people spoke again, in the 2017 general election. The outcome of that election was to emasculate the Tories, depriving them of a majority in the House of Commons. Democracy is an on-going process, not a once-and-for-all decisions. In a democracy, the people speak, and must be heard, but the people do not speak with one voice, and they don’t speak only once. Instead, they speak frequently and often in contradictory fashion. From RTÉ's Brexit Republic podcast, RTÉ political correspondent Paul Cunningham, London correspondent Fiona Mitchell and Deputy Foreign Editor Colm Ó Mongáin look at (yet) another Brexit deadline extension from Brussels, more cross-party discussions in London and relief in Dublin. Secondly, Brexiteers claim that leaving the EU reflects "the will of the people", as recorded in the 2016 referendum. This is naive and misguided. "The will of the people" is at best an empty catchphrase and, at worst, a dangerous populist slogan. The UK is a parliamentary democracy and, in a parliamentary democracy, the parliament has the job of interpreting the will of the people, as expressed by the collective voice of all the electorate. Thirdly, Brexiteers assume that direct forms of democracy, like a referendum, are more pure and therefore intrinsically superior. This is also wrong. More than 2,000 years ago in Rome the historian Polybius and the philosopher Cicero argued that all forms of government can turn into tyrannies on their own. That is certainly true of monarchy and aristocracy, but also of democracy, thus Cicero warns us not to confuse democracy with mob rule. De Tocqueville understood this and called it "the tyranny of the majority", a concept also endorsed by his contemporary John Stuart Mill, arguably the greatest philosopher of liberal democracy to come out of the British Isles. The solution is to put our trust in a mixed constitution, built on checks and balances. The Brexiteers’ poor grasp of democratic theory may have exposed the king in its full glory, but it is not all doom and gloom. Brexit has also shown the resilience of those who understand the logic of parliamentary democracy. Giving credit where credit is due, we have a parliament in Westminster today acting as a check on the powers of the executive, since Theresa May is not having it her way. It also operates as a counter-balance to the presumed will of the alleged majority as expressed in one ill-defined and impossibly vague referendum. Anything is possible in the next six months, including the revoking of Article 50 or a general election. Even a second referendum is on the cards - which, as I have argued before, still represents the most sensible, morally cogent solution. The point is that parliament will decide, which is how it should be in a parliamentary democracy. This is the true meaning of Brexitocracy.